Nearly $14 million has been given since the start of our association with Opération Enfant Soleil. OES uses the funds it raises to offer ill children the best possible treatment and social services, improving their physical and mental quality of life. As a major OES partner, Familiprix serves on the charity’s board of directors and is responsible for substantial financial and logistical contributions. Opération Enfant Soleil helps children from all parts of Quebec by contributing to various hospitals and regional organizations throughout the province. What's more, all of our Familiplus members now have the possibility of making a donation with the points they’ve earned using the Familiplus card. 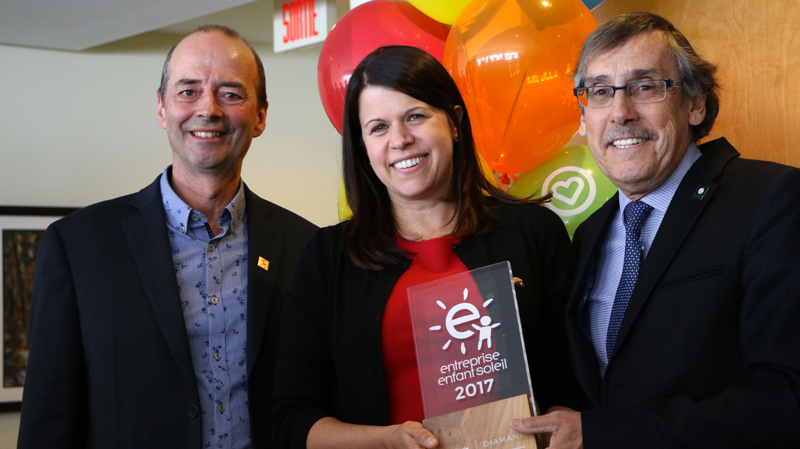 Opération Enfant Soleil raises funds to develop high-quality paediatrics for children in Québec. Thanks to the proceeds, hundreds of projects are carried out each year in hospitals, regional organizations and paediatric centres. Since Opération Enfant Soleil was first founded in 1988, over $230 million has been given across the province. Because little miracles don't happen on their own, thank you!